Fractures, and Sprains, and Breaks, Oh My! Home/Blog/Fractures, and Sprains, and Breaks, Oh My! Kristen Stewart with an injured foot at the Oscars. Sprains, fractures, strains—there are few people who can describe the difference. The one thing that’s clear is that your feet provide support and mobility to your body, and when they’re injured it can be impossible to go about normal daily activities without pain. A sprain is a soft-tissue injury that usually occurs when the ligaments that connect the bones are pulled, stretched, or torn. Fractures are actual breaks in the bone. Many sprains and fractures occur during sports such as football and basketball, but they just as commonly result from stumbling or tripping on uneven ground. Some symptoms that may indicate you have sprained or fractured your foot are: pain, swelling, bruising, and difficulty walking. Before you get a chance to see your podiatrist, remember the acronym RICE: Rest, Ice, Compression, Elevation. Obviously, you should always stay off of a sprained or fractured foot or ankle and refrain from walking and playing sports. You should also apply ice every three to four hours for 15-20 minutes at a time to reduce inflammation. Tightly wrap an elastic bandage (such as an Ace bandage) around the affected foot or ankle (making sure you don’t cut off circulation), and elevate it on a stack of pillows (ideally at a position above your heart) to reduce swelling. A podiatrist can determine whether you have a sprain or fracture, and provide you with a treatment plan to optimize the healing process. He or she may order an X-ray, or even an MRI or ultrasound (soft tissue injuries show up better on MRIs and ultrasounds) to determine the extent of your injury. Treatment depends on what type of injury your podiatrist diagnoses you with. Stress fractures and sprains are both treated with rest and immobilization and possibly crutches, a soft cast, or a special boot. Breaks in the bone may require your podiatrist to use a local anesthetic and realign the bones so they can heal properly. An “unstable” fracture (the ends of the bone do not stay in place after realignment) may require surgery which involves putting metal screws and plates in place. Oral inflammatory medicines can be used to decrease pain, swelling, and inflammation. 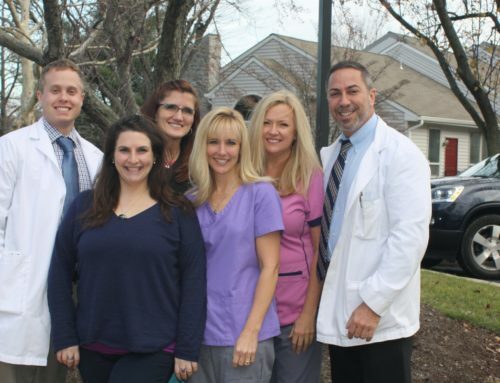 Quality Foot Care in Doylestown is your local foot and ankle care destination. Call 215-230-9707 today.